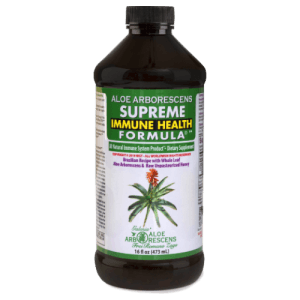 Commercial production of the original Aloe Arborescens Brazilian Recipe internationally acclaimed by Father Romano Zago is manufactured in North America and in Europe as a dietary supplement and distributed by health professionals and health product distributors. 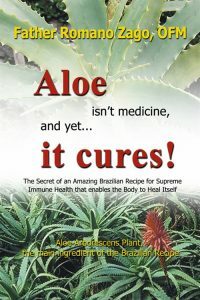 You can also find the books here that he wrote about his years of experience and research with the healing abilities of Aloe Arborescens. While there are a few other Aloe arborescens health products, none have near the proven benefits and all-natural ingredients as the original Father Romano Zago formula. These statements have not been evaluated by the Food and Drug Administration. Not intended to diagnose, treat, cure or prevent any disease. 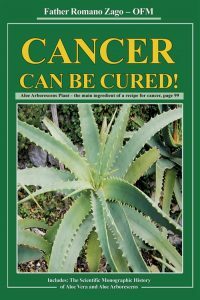 Neither do this web site nor Deca Aloe US Health Foundation adopt any medical terminology used in the abstracts posted here, which are intended for general informational purposes by providing a cross-section of some of the research anyone can find about Aloe by searching the Internet. Powered by Movement Web MarketingCopyright © 2018. Deca Aloe US Health Foundation - All Rights Reserved.